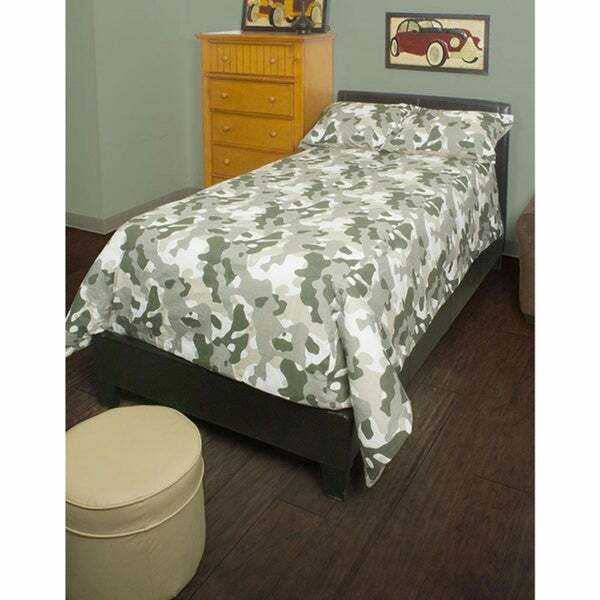 Camo comforter set brings the look of the outdoors right into your bedroom. The 100-percent cotton camo print in shades of grey, green and ivory is machine washable for easy cleaning making this a great bedding that will last. The neutral tones make it easy to coordinate with other bed accessories.